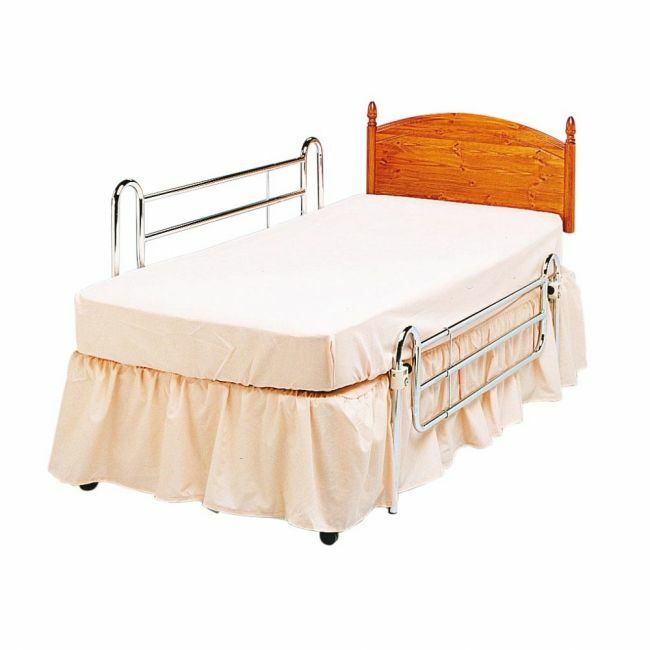 Prevent falls and encourage independence with a set of adjustable bed rail guards. The adjustable divan bed safety rail assist the elderly or those who may have limited strength to get in and out of bed safely. Designed to fit single, double, and three quarter size beds, and fully compliant with BS safety standards.